Cindy Stenglein almost didn't stop. She initially walked right by the booth where free skin cancer screenings were being offered before this past summer's annual Stay Out of the Sun Run in Rochester. "I had a full-body checkup a couple of years ago, and nothing was wrong," she tells the Rochester Post-Bulletin. "I was feeling fine." But then Cindy, a nurse at Mayo Clinic’s Rochester campus, remembered the "nagging" mole on her left arm. "I wasn't too concerned, because my mole didn't match any of the typical moles that are often associated with melanoma," she tells the newspaper. "It looked nothing like the mole pictures I had ever seen before." Cindy learned she had melanoma. The Post-Bulletin reports that her mole measured .9 millimeters in size and thickness, and patients "are urged to get treatment" for anything larger than 1 millimeter. While she was on that line, Cindy decided to not take any chances. "I could have waited," she tells the paper. 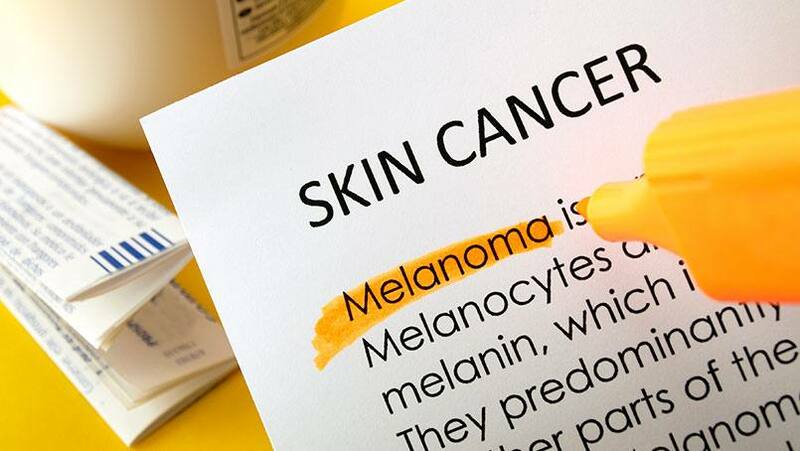 "But we didn't know how fast it was growing, and melanoma has a tendency to grow at a fast rate." So nine days after her diagnosis, Cindy went from nurse to patient when Mayo Clinic surgeon Tina Hieken, M.D., removed the cancerous mole. "It was two weeks from the phone call telling me I had cancer to the phone call telling me I was cancer-free," Cindy tells us. "My care and treatment experience at Mayo was top-notch, as I would expect." Though it may have been an experience that happened by chance, Cindy says it's one she now wants others to learn from. "I don't know about destiny," she tells the paper, "but I do know that simple checkup may have saved my life … If you see anything unusual on your skin, by all means have it checked out." You can read the rest of Cindy's story here. Then, do something good for us by sharing your comments below and sharing this story with others using the handy social media tools.